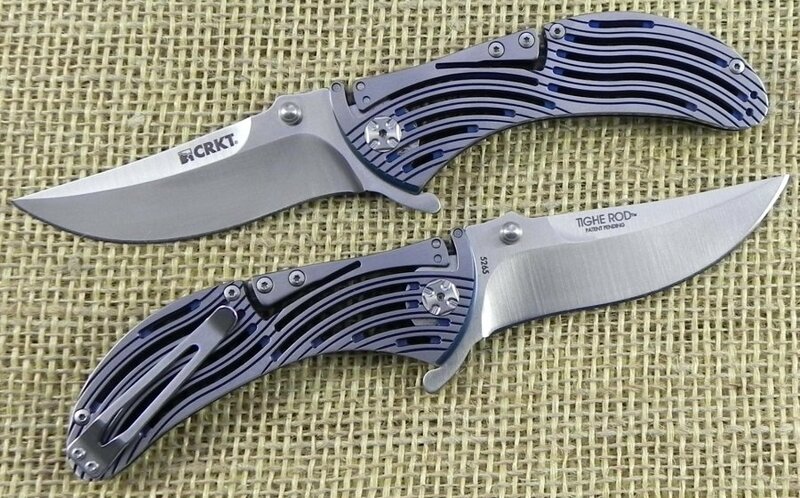 CRKT Tighe Rod. 4 5/8" closed lockback. 3 1/2" matte finish AUS-8 stainless modified recurve clip point blade with dual thumb studs and flipper. Klecker Lock blade locking mechanism. 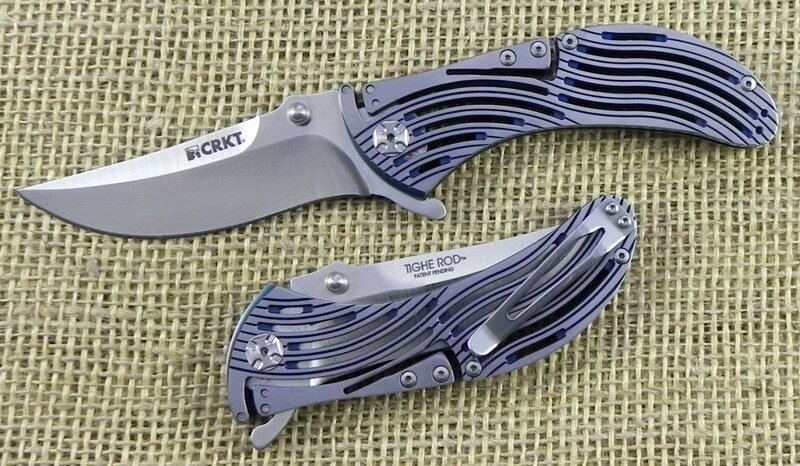 Skeletonized stainless handles with blue Titanium Nitride coating. Stainless pocket clip. Brian Tighe design.